Our study system is based on the principle of gurukulam (traditional way of indian teaching) in which students live in an ashram while studying under the tutelage of a master teacher. This traditional approach is balanced with western way of systematized and structured way of teaching to expose the ancient wisdom and practices in a clear way. Our trainings prepare students to be first of all inspired yoga practitioner, and then competent and confident yoga teachers. The aim of our programs is to guide the yoga seeker to deepen their understanding of yoga and its practical application in everyday life. In this way, yoga becomes both a transition and a transformation for the devoted yoga practitioner. 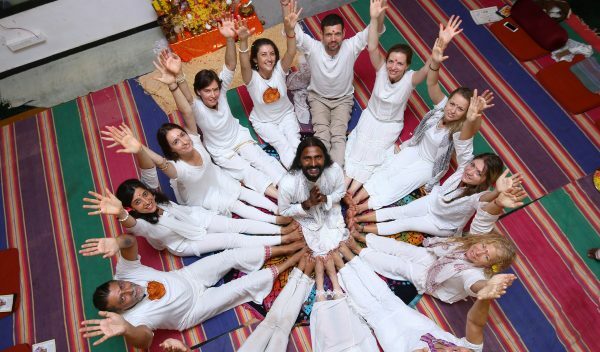 Through the years Vasishta Yoga has created a sacred space for yoga lovers to meet and gather around Saji’s teachings even after the courses, to experience and share the knowledge and also learn from each other. This warm hearted exchange inspires all of us to move on the path of yoga to bring more peace and harmony to this world. 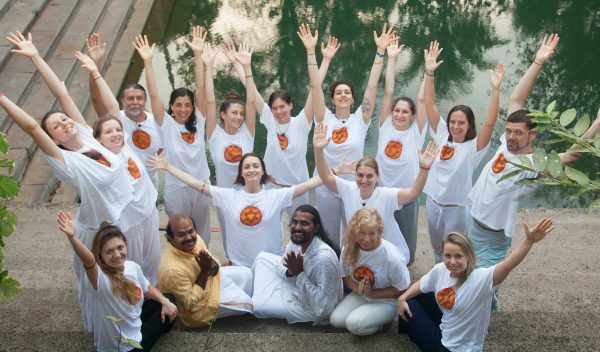 This 4 week residential Yoga Teacher Training on Hatha & Tantra presents a systematic approach to classical practices such as Asana, Kriya, Pranayama, Mudra, Bandha, Relaxation, Mantra, and Meditation. Classes start at the Beginners level and progress through to the Intermediate level. The philosophical base and a variety of subtle practices are integrated in the course to make you discover the holistic way of living and teaching yoga. This 4 weeks residential Advanced Yoga Teacher Training is designed for the most serious and dedicated yoga teachers and aspirants. The student of this course should be a regular practitioner of basic Hatha Yoga. The course emphasize on the deeper understanding of classical Hatha, Tantra, Raja and Kriya Yoga incorporating a 75% practical and 25% theoretical course structure. The accent on pranayama and meditation makes of this course a perfect space to grow in your sadhana in order to bring further the knowledge of yoga.